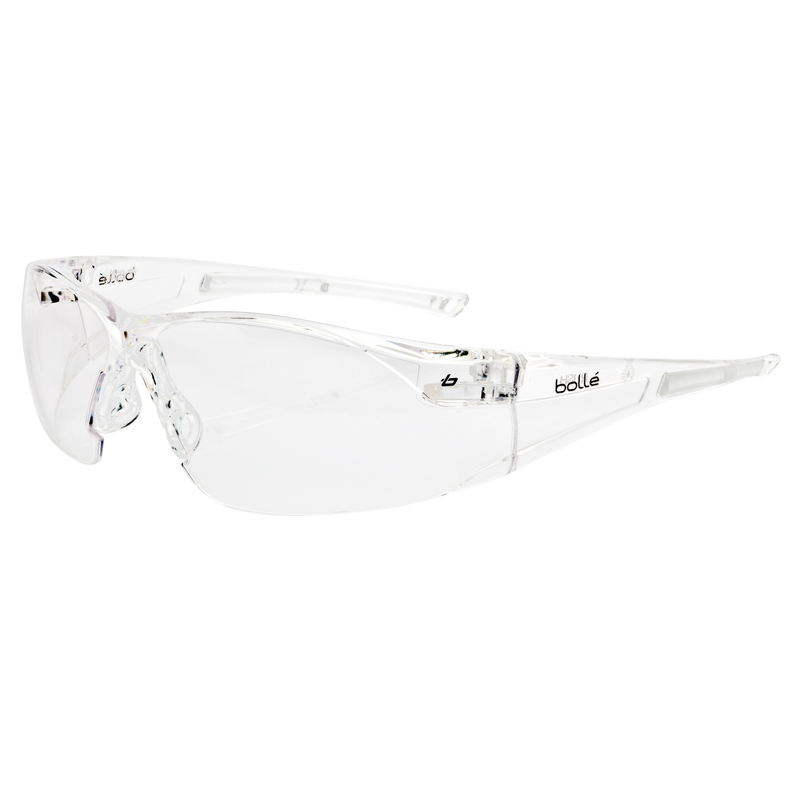 Bolle Rush safety spectacles provide panoramic and lightweight eye protection. They also offer perfect optical quality, combined with excellent comfort. Featuring an adjustable non-slip bridge and non-slip temples. The lenses feature anti-scratch and anti-fog coating. Conforms to EN166 1 FT.